Machines to break lumps in fertilizer. 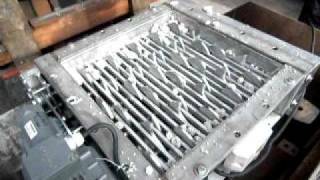 EMT produces a lump finger crusher. 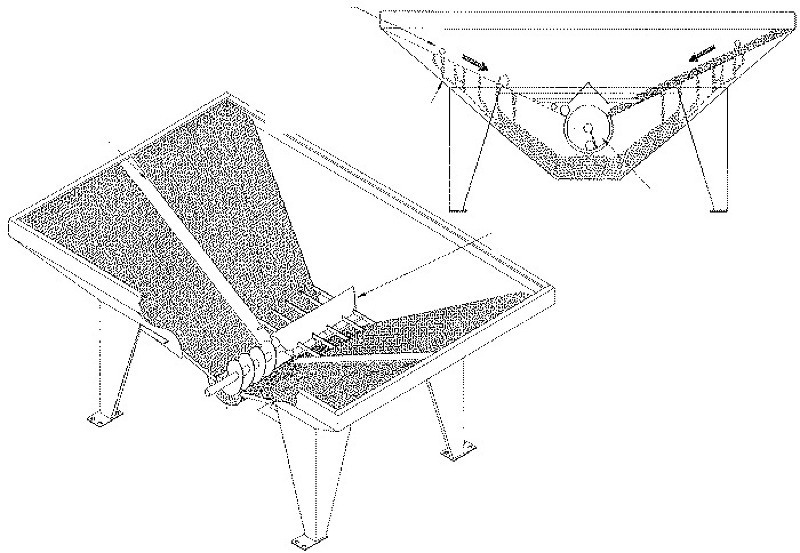 The lump crusher can be installed under a hopper and it will break hard lumps. 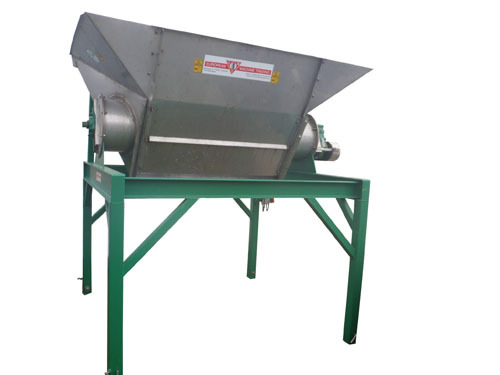 The machine is constructed of stainless steel and is easy to install under an existing hopper. EMT makes these machines with 2, 3 or 4 rotating finger shafts. Stainless steel hopper equipped with a fertilizer conditioner at the inside of the hopper. 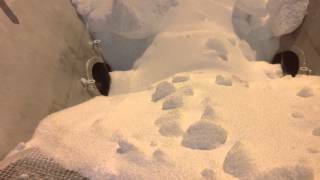 The conditioner will break up any lumpy material before discharging out of the hopper. Unlike other fertilizer conditioners, material can flow through the side screens and pass the conditioner by. This enables high tonnage to flow through the conditioner, and also your good material to pass the conditioner by, which always reduces the possibility of damaging the granules. 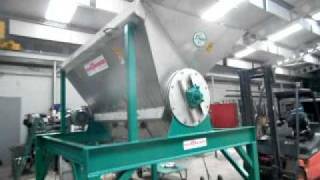 Stainless steel hopper with a size of 1.500 kg. equipped with a fertilizer conditioner at the inside of the hopper. 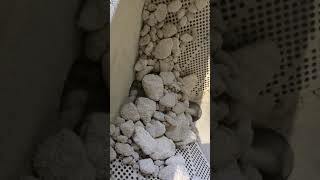 The conditioner will break up any lumpy material before discharging out of the hopper. The screen hole diameter is 18mm. This enables high tonnage to flow through the conditioner. De-lumper is constructed out of mild steel with an electro motor of 2,2 kW, installed on the drive roller. The De-lumper is existing out of 2 rollers with hook formed fingers which are turning in opposite of each other. The fingers are picking up the lumps in the fertilizer material. The size of the lumps will be minimum to a size of 20 mm. The machine is installed directly under the outlet of the hopper. All fertilizer is going through the De-lumper into the weight hopper conveyor. The size of the De-lumper is 375mm x 320mm. Complete system is made of mild steel with a heavy duty bearing construction on breaking fingers. Capacity: till 40 ton per hour. The De-lumper constructed out of stainless steel with an electro motor of 5,5 kW, installed on the drive roller. The De-lumper is existing out of 4 shafts with hook formed fingers which are turning in opposite of each other. The fingers are picking up the lumps in the fertilizer material. The size of the lumps will be minimum to a size of 20mm. 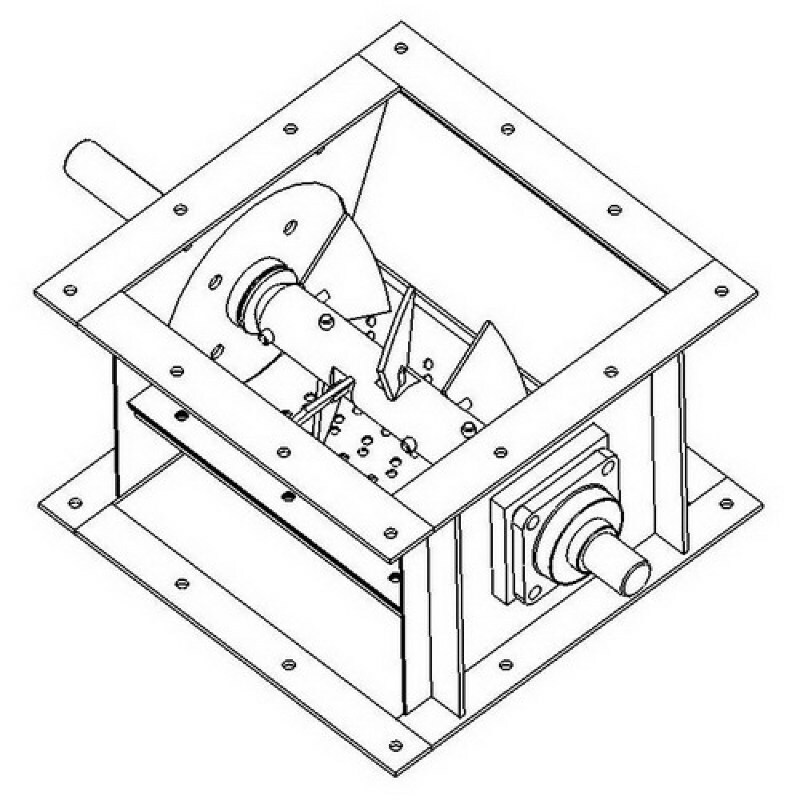 The machine is installed directly under the outlet of the hopper. All fertilizer is going through the De-lumper into the weight hopper conveyor. The size of the De-lumper is 600 x 600mm. Complete system is made of stainless steel with a heavy duty bearing construction on breaking finger shafts. Capacity: till 60-80 ton per hour. Fertilizer conditioner for hopper with 5,5 kW, 3-Phase, 50 Hz motor, model gearbox, RPM 170, paddle shaft with reverse flighting. 304 stainless steel body with 10mm. staggered holes. Side slope and bottom screen all in 304 stainless steel. Capacity: 20-30 ton per hour. 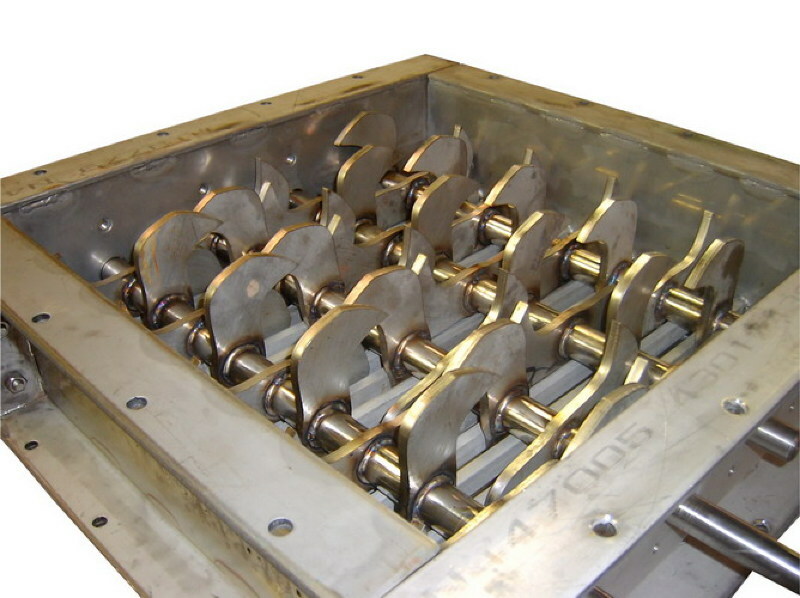 Roll breaker constructed of mild steel with mild steel breaking rolls with a diameter of 250 mm each. Roll length 600 mm. Including 5,5 kW motor and roll adjustable spanners. 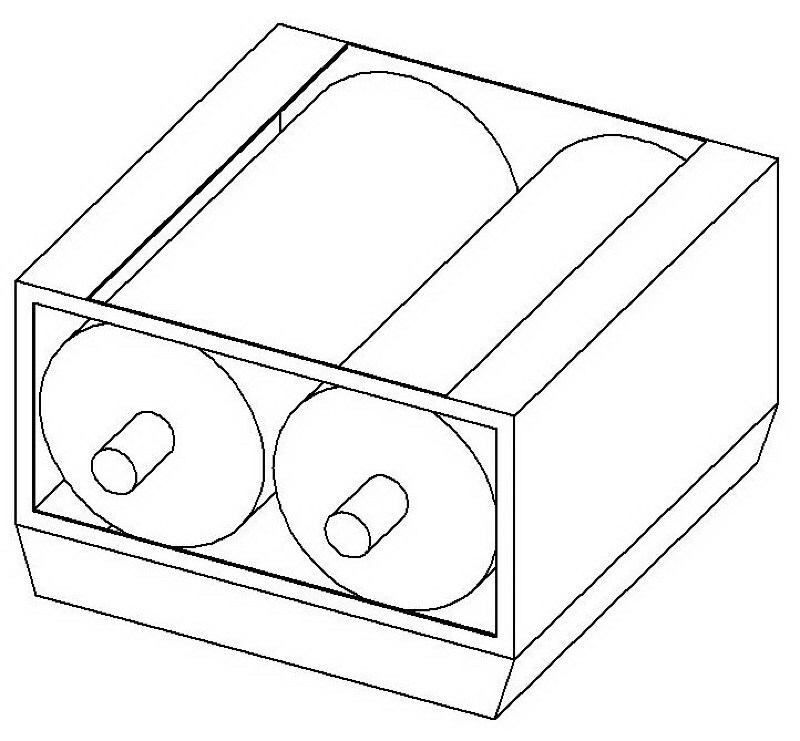 In this way the diameter between the rolls is adjustable in width. The rolls are constructed of mild steel and installed in mild steel bearings. Capacity 10 ton per hour. Stainless steel steering shaft that can be installed in the outlet of the hopper cone. This steering shaft is slowly turning in the material. The steering paddles which are constructed to the shaft are picking up the material and will break the lumps. These steering paddles are rotating between conical contra fixed stainless steel bars. In this way, the lumps will be broken between the steering paddle and contra bar. 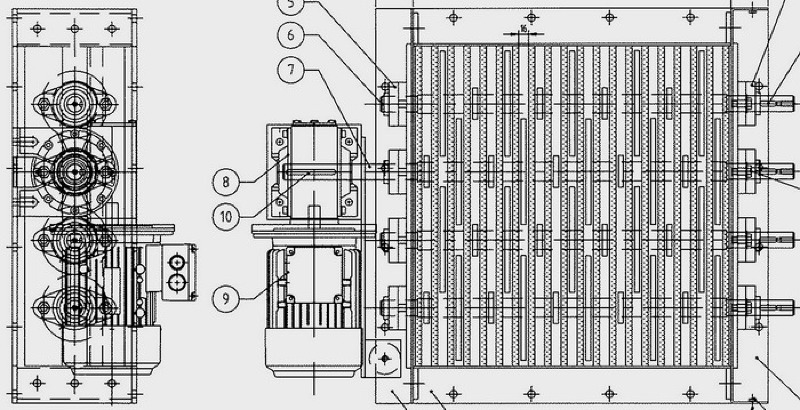 The whole unit is constructed into a stainless steel body with connecting flanges on both sides including an electrical motor of 5,5 kW. The size of the lump steering unit is 600 x 400mm. This is the inlet and outlet opening. Capacity 40 ton per hour.